Cryptainer PE protects your sensitive files and folders by creating a secure, password protected vault or "virtual drive" on your flash drive. 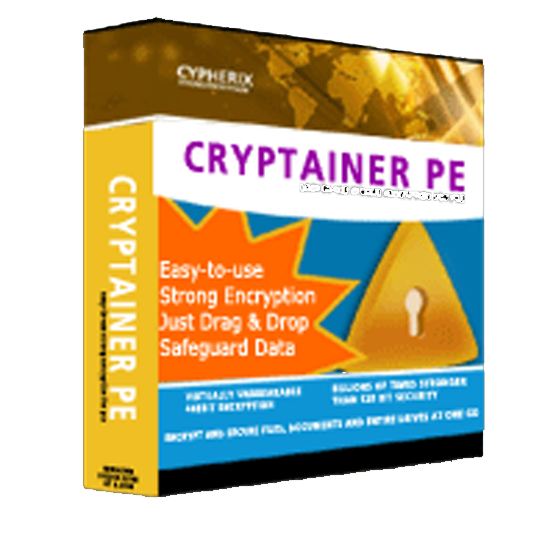 Cryptainer PE's powerful 448 bit strong encryption ensures total protection without changing the way you work. You can create multiple vaults up to 25 GB each with separate passwords and choose between either Blowfish or AES encryption algorithms. Each "stand alone" vault can be protected and disabled as required. To protect your files, just drop any kind of data that you wish to protect into the secure Cryptainer vault. Cryptainer PE's secure email module allows you to generate encrypted files that can be sent as email attachments. Creates a password protected "vault"